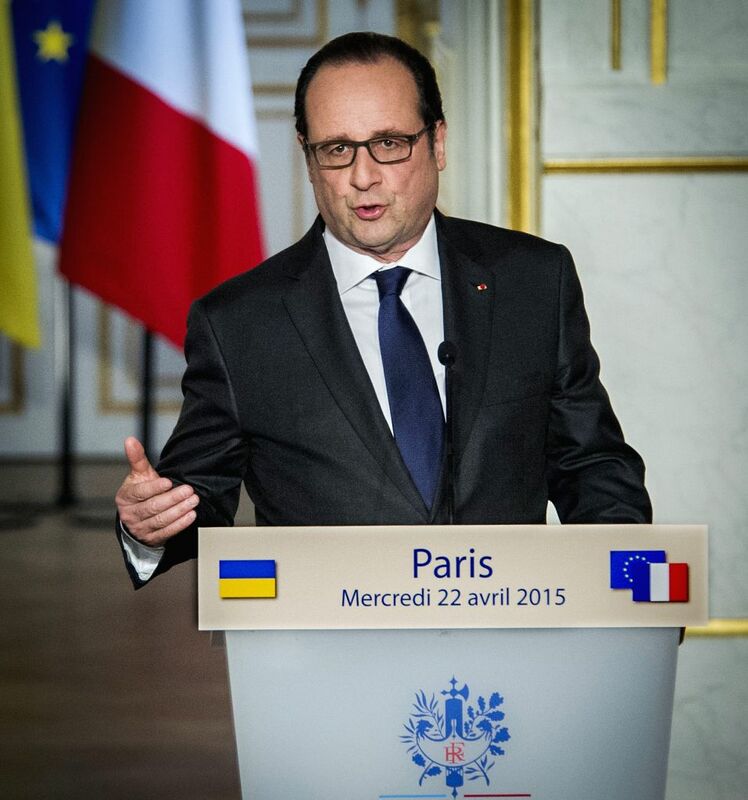 PARIS, April 22, 2015 - French President Francois Hollande speaks on a press conference with Ukrainian President Petro Poroshenko (not in the picture) in Paris, France, April 22, 2015. 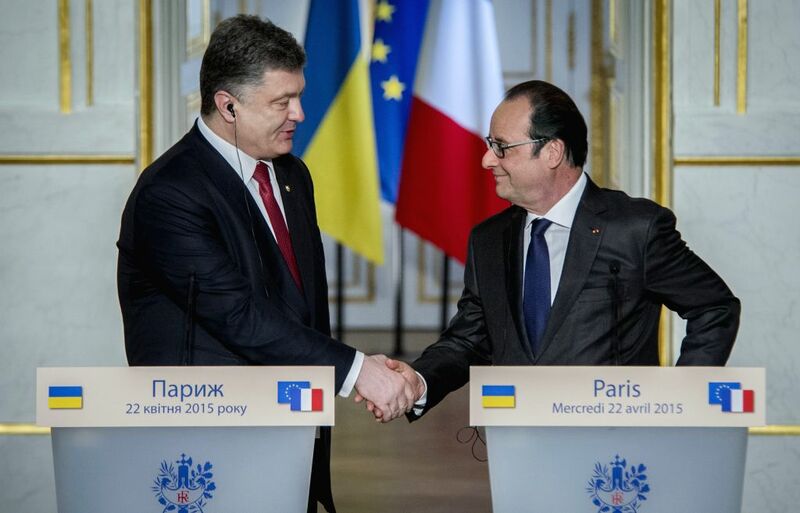 France and Ukraine pledged to reinforce the bilateral relations in various of fields, French president Francois Hollande and Ukrainian President Petro Poroshenko announced Wednesday in a joint declaration in Paris. French President Francois Hollande (R) and Ukrainian President Petro Poroshenko attend a press conference in Paris, France, April 22, 2015.